IBM has agreed to pay $34 billion for leading Linux vendor Red Hat. The sum is 70% above the current market cap for Red Hat which, as of Sunday, was just $20.53bn. This is also the biggest acquisition in the history of IBM by a significant margin. The previous record was $5bn for Cognos in 2008. Last year IBM pulled all of its cloud related assets into a single brand, IBM Cloud. This is a hardware and software group that delivers private, public and hybrid cloud across all of IBMs product lines. Among the products in the group are IBM Cloud, IBM Cloud Private Cloud, the Cloud Migration Factory, Cloud Managed Services, Cloud Application Innovation and launch of IBM Multicloud Manager. IBM Cloud Private has added over 400 enterprise customers in the last year. In the press release announcing the acquisition, Ginni Rometty, IBM Chairman, President and Chief Executive Officer said: “The acquisition of Red Hat is a game-changer. It changes everything about the cloud market. IBM will become the world’s #1 hybrid cloud provider, offering companies the only open cloud solution that will unlock the full value of the cloud for their businesses. Both companies have released quarterly earnings in the last two months. Red Hat reported its Q2 2019 results in September. They show a 14% year-on-year increase in revenue to $823 million in constant currency. This allowed it to project full year revenue of around $3.3 billion. The majority (80 percent) of Red Hat’s revenue comes from subscriptions which IBM will want to grow significantly. IBM released its Q3 2018 results a week ago. They showed that the company had revenue of $18.8 billion in the quarter which was down a little from the previous year. Cloud delivered more than any other division at $8.29bn. So far this year, the division has generated $25.5bn with a profit margin of around 41%. IBM also said that it currently had around $11bn in cash and cash assets on hand. This leaves it $23bn short of the purchase price. Given the dependence of Red Hat on subscriptions and the fact that it is predicting a yearly turnover of around $3.3bn, the IBM statement will raise a lot of eyebrows. IBM seems to be one of those companies in constant evolution. Its mainframe business, once thought by everyone to be dead, is having its best year in more than a decade. Two drivers behind this are customer interest in the security of the platform and the growth of its LinuxONE line. Linux now accounts for over 50% of the operating system installations on IBM z Systems and 100% on LinuxONE. Red Hat is by far the largest version of Linux on those platforms so this is about IBM securing control of the OS and being able to more tightly align future product plans. Open Source is also key to IBM’s future plans for the platform. It is a major sponsor of the Linux Community Hyperledger Project, which is one of the largest blockchain platforms. This sits on IBM LinuxONE mainframes. IBM has also seen a significant increase in demand for its Power Systems devices. Power 9 drives two of the largest supercomputer deployments in the world, Summit and Sierra. These are both located in the USA and run Linux as their operating system. In addition to this, IBM has invested several billion dollars over the last decade into Linux development and open source software. It would like this acquisition, therefore, to be seen as part of that investment planning. 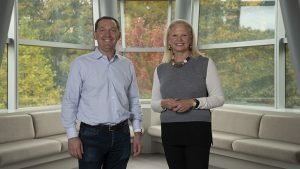 As Rometty stated, IBM sees this acquisition as a key driver to become The Hybrid Cloud company. But to get there it has to deal with a number of issues that this acquisition will throw up and some of them won’t be easy. Red Hat has become the key enterprise Linux player in the market. AWS, Oracle, Alibaba, Microsoft Azure and others are currently partners. Red Hat is also a major part of the OpenStack community and the major player behind the OpenShift community. This announcement, therefore, has some very wide reaching implications. IBM is rightly saying that it wants to continue with the existing partnerships. In the short term nobody will want to make any sudden changes. However, for Oracle and AWS, this acquisition may be more than a little uncomfortable. It will be interesting to see what they have to say at the OpenStack summit which takes place in Berlin in two weeks. There is increasing evidence that organisations are using more than just one cloud platform. The problem that many of them face is aligning their multi-cloud management and support. An even bigger problem is migrating workloads across those platforms. This is one of the areas where IBM will gain significantly here. It will be targeting all those end-users of Red Hat and making sure that migration is a seamless process. Red Hat is not the only flavour of Linux that IBM ships on its hardware. It has deals with both SUSE and Canonical. Both companies have been long term supporters of IBM’s push into Linux. They have invested heavily into porting and developing their products on the IBM platforms. They will now want reassurance that Red Hat will not be prioritised over them. A few months ago, SUSE was bought out of Micro Focus by private equity firm EQT for $2.5 billion. As part of the future revenue stream, EQT will have looked at what the company gets from IBM. If there is any risk of SUSE seeing a drop in its income from IBM it will need to find new sources of revenue. Luckily, it has PE backing which means the funds should be there for application development. What this means in the medium and long term will take some time to determine. The same is partly true for Canonical. In its favour it has been developing Ubuntu in a different direction from its deals with big hardware vendors. It has focused on the PC and IoT market as well as cloud. This deal has implications outside of the Linux market. Red Hat is the major driving force behind OpenShift, a cloud Platform as a Service competitor to Cloud Foundry. IBM is one of the largest Cloud Foundry distributions. This deal could finally bridge the gap between the two PaaS competitors. The winners here will be those who are beginning to adopt containers. The two PaaS have different approach but both support deployment and management of Kubernetes and Docker. It will be interesting to see if IBM builds a hybrid PaaS that supports both environments. If it does, then it will be able to widen its container appeal substantially. The Cloud Native Computing Conference and KubeCon is due to take place in Seattle in less than six weeks. Before then, expect to hear much more from both sides as to what this deal may mean. Of course, all eyes will be on IBM and what it says but it is likely to keep quiet for a while as it decides on its future plans here. On the face of it, IBM has completely blindsided the wider Linux community. There was not chatter or leaks about this deal in advance. Over the next few weeks there will be a lot of people trying to work out the implications for their current Linux strategies. For IBM, this is a major leap. Spending $43bn on Red Hat, more than six times its previous record acquisition will not have been done lightly. There will have been a lot of number crunching and many late nights at the core of both companies. The big question is how will this plays out and is IBM being overoptimistic in its claim that it will deliver financially and in market share. It will take at least six months to see what the impact is on the financial side. Meanwhile, IBM is holding a series of analyst and press briefings today. We will be on those calls to hear what the future plans are. Previous articleWorth the wait? BIBD goes live!